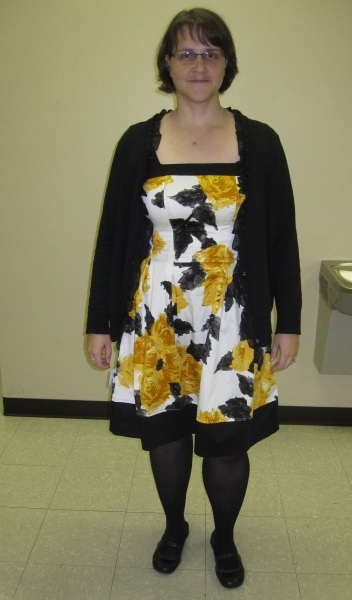 I realize that I’ve been a bit quiet on this blog about my weight in the past several months (ok since July 2011). You know what it means when someone stops posting their weight, right? Yep, they’ve gained weight and think they can fool you in to thinking they’re still doing well by just omitting that little detail! In January, I joined the Move More, Eat Well class (digital scrapbooking!) which I’ve mentioned a few times here, here, and here. Since it was the middle of January, all my pages have included weights and measurements at the end of the month instead of the beginning. So, I decided to weigh in on March 16th to get my March measurements. That way when April starts, I think I’ll be up to speed with where I should be. February was a success as far as exercise goes, however my eating was still poor. My biggest hurdle was stopping the sugar intake. It seemed almost every day I found a way to get some chocolate/candy, whether that was going by Walgreens after lunch or raiding the office stash. One piece just led to more. So, on February 19th I stopped eating sugar all together. I have no doubt that I am a sugar addict. The more I eat, the more I want. The past 13 days have found me to be very grouchy and grumpy and probably scared most of my co-workers! I still think about how I can sneak in some here and there, but the urge isn’t quite as strong as it was the first couple of days. If I can just stay away I think I’ll be ok. I also had my first phone consultation with Darlene Kvist, Nutritionist. She is still in the process of writing up my diet but has told me that I need to stay away from gluten grains and dairy for the time being. That means only wild rice, brown rice, and quinoa for grains. No breads! That is goign to be tough too. March will be a tough one. Click on the photo for an easier to read view. One area where I busted this month was my idea to bring lunch to work more often. Pfffttt…yeah right! I eat out every day for lunch. I prefer to the leave the office than to sit here for 12 hours. 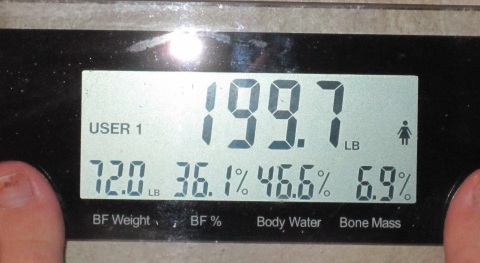 While my weight was down to 200.5, which was about 7.2 lbs, I’m behind on my goal. I wanted to lose 50lbs this year (40lbs from my original goal and the extra 10lbs I put on! ), which was a little over a 4lb loss per month. That means I should be at 12.5lbs lost so far. However, I’m finally moving in the right direction again, so onward and upward…err…downward! This entry was posted in Challenges, Digital Scrapbooking, Goals, Health, Progress and tagged Health, MMEW, Scrapbooking, weigh in on March 30, 2012 by Tammy.